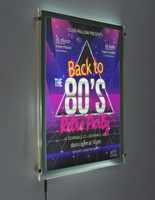 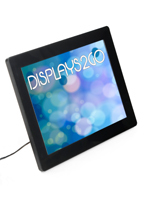 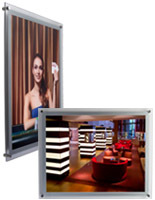 This illuminated LED wall frame features classic "frameless" design with a built-in silver border and edge-lit backlighting for maximum visibility in high traffic areas. 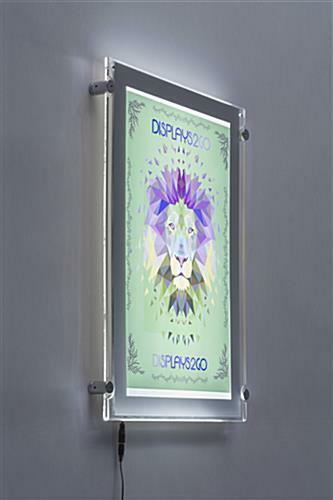 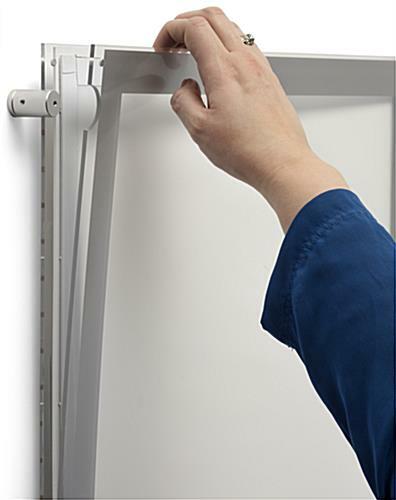 The simple top-loading sandwich-style poster holder features a magnet closure holds graphics securely between two acrylic panels. 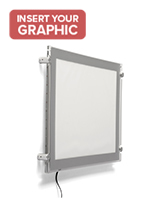 This 11x17 standoff mount LED wall frame's energy efficient edge-lit construction is designed to withstand heavy use in commercial environments. 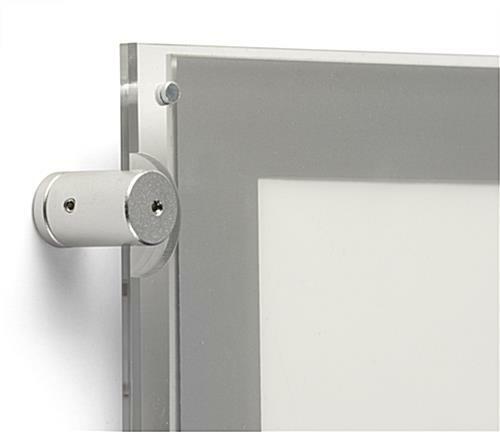 The clear acrylic front panel surface includes a built-in silver border for a stylish look. 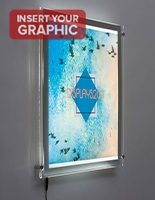 This 11x17 LED wall frame is best used with graphics printed on translucent film and comes with four standoffs as well as all hardware necessary for installation on vertical surfaces. 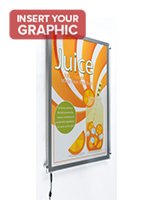 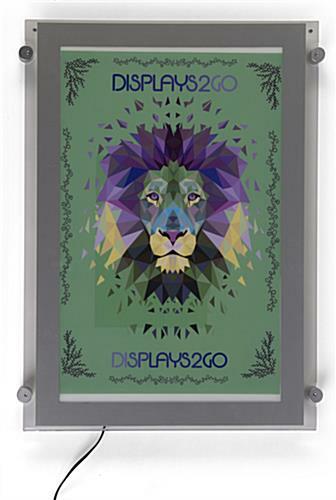 This lightweight, energy efficient poster holder is ideal for creating high visibility marketing, advertising, and menu displays that will attract customer attention. 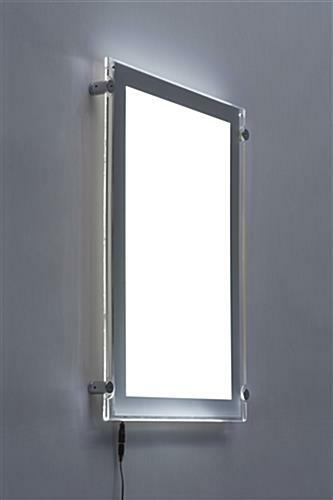 14.6" x 20.3" x 1.3"